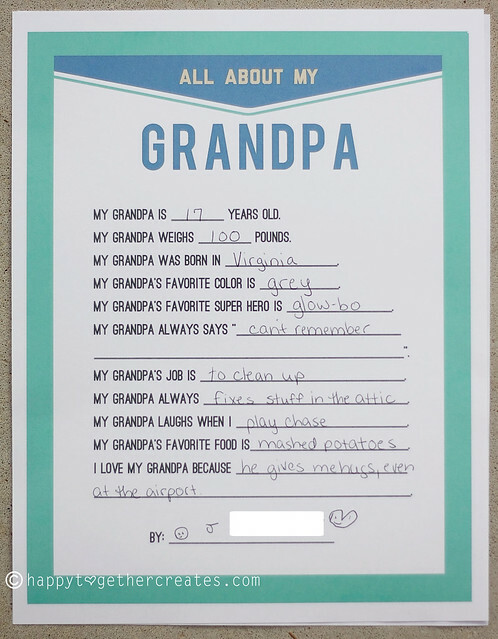 When prepping for Father’s Day gifts, I came across this printable for kids to answer fill in the blanks about their grandpa (or dad). I thought it would be fun to do with my oldest daughter for her two grandpas. 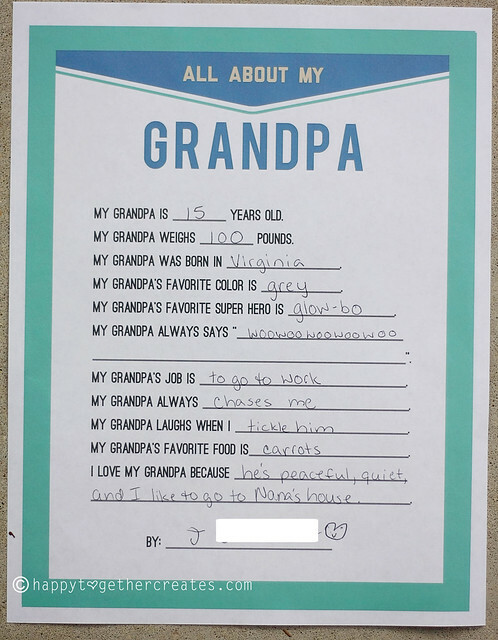 If you are looking for a quick fun activity for your kids to do for dad/grandpa, this would be a good one! Oh I love this – as a past kinder teacher, I was always touched by the way littlies described older people! So cute that makes me want to have kids right away!